Got some dog, dope and gun laws that need a closer look. And taking away a pension for committing a crime? Some thoughts, brickbats, free opinions. Soon I hope to be seated at legislative hall in Dover that I may learn more about that law-making process, perhaps meet some of those who vote. For now I unabashedly follow the reports of the 9-12 Patriot activist, Jim Atkiins. Jim issues terrific reports, God bless the man for his efforts. I used Jim’s report as a guideline but did check in online to see the status of the bills as currently introduced. Below a list of current bills in committee and my wise thoughts. What’s with this spate of animal laws? We begin with senate bill 22, sponsored by a couple of Republicans including our own newly elected Bryant Richardson. AN ACT TO AMEND TITLE 11 OF THE DELAWARE CODE RELATED TO CRUELTY TO ANIMALS. This bill allows first responders to use reasonable force to remove an animal confined in a motor vehicle under conditions likely to cause suffering, injury or death. The bill also allows a person removing an animal to use reasonable means to contact the owner and if unable to locate the owner, take the animal to an animal shelter. The bill provides for issuance of a fine in an amount no higher than $1,000 for a first offense. This is a sort of feel-good bill that can be very dangerous for its good intentions. Of course no one wants to leave an animal to die in a hot car, but of course not. I do note that the verbiage specifically stipulates that the animal’s confinement is likely to cause suffering, injury or death. Because I know yon readers might find this hard to believe, but there are liberals out here in la-la land that think ANY animal left in a car should be released by whatever means it takes. I’d also point out that many, many people ride around with their dogs in their cars, including mine own self once in a while. And there will always be some kind of liberal who gets all bent. Yes, I have an example. It was an early spring day. The temperature outside was in the low 70’s. I had my dog in the car and stopped at a nearby mall. I rolled down the windows a bit and the dog, she was fine. She had lots of cool fresh air and so enjoyed our car rides….she did. When I came out of the mall, a state trooper no less, had left a note on my window to the effect that while I thought my dog was comfortable because the weather was cool, that temperatures in a closed car are about 20 degrees hotter than outside….yada, yada. Now nobody did anything to my car or the dog inside. I was told by a passer-by that some shopper had complained to the trooper about the dog. With this new law, should it pass, than that trooper might well have been able to break open my car window and “rescue” the dog. I know yon readers are forced to take my word for it, but that dog was just fine. Whoever complained about her is a person who thinks that NO dogs should be left in cars, under any circumstances. For if the weather is not so hot outside for them to complain about the dog in the heat, then of course the weather outside is too damn cold and the dog will freeze. It’s not that I’m against this law necessarily. I myself would break open a window should I think the animal was in danger of dying. It’s that old slippery-slope thing. Give the nutjobs an inch and they lose all common sense and take a mile. Next as regards animal protection, we have Senate Bill #29, a bill that would make cats part of the domestic animals protected under the dangerous dog law, SB240 referenced below. This bill restores language to the Delaware Code that was inadvertently repealed in 2010 when SB 240 and HB 419 were enacted concurrently. This bill adds cats to the list of domestic animals that are protected under the dangerous dog law. Cats are domestic animals and dogs that viciously attack a cat on the property of its owner or under the immediate control of its owner should be evaluated according to dangerous dog provisions. So Delaware is chicken country and dogs….well I once lived on a farm and the dogs were always attacking and killing the chickens. Also other livestock is killed by dogs, both domestic and wild. I am not at all sure that cats fit this mold in that, come on, chickens don’t go around tempting and teasing dogs in that manner of tricky felines, says me who has three cats and two dogs. On the other hand, a dog can easily kill at cat, I know this, but most cats can get away from a dog toot de sweet. If the cat can’t jump high to escape dog than perhaps it’s part of that old survival of the fittest thing. In summary, these laws are feel-good things and this country is going to hell in a hand-basket over feel-good laws more than most sensible laws. The legislators who put their name on these things get to be heroes to animal lovers anywhere. Few Republicans signed on to that cat protection law but quite a few like the one that would have cops shattering our car windows. Bonini was one of the sponsors of the car window smashing law AND it would seem that good ole Colin introduced a new law of his own. New legislation could offer hope to people dying from illnesses defying treatment with approved medications. 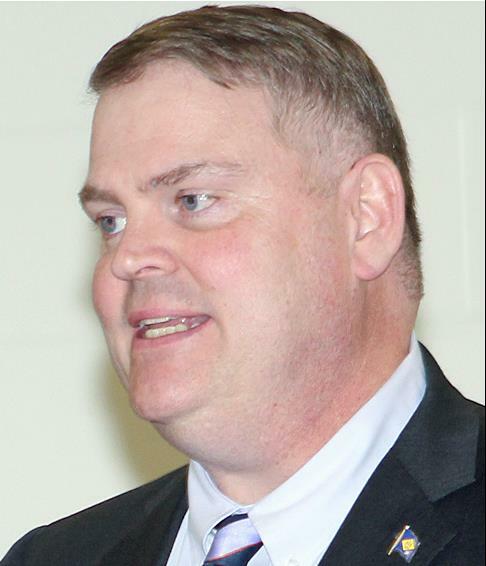 Unveiled earlier this week by State Sen. Colin Bonini, R-Dover South, the bipartisan legislation would allow terminally ill patients access to potentially life-saving drugs, even if those medicines were not yet on the market. I will be contacting Senator for more information about this law and a few other questions I have. I’ve heard grumbles that Bonini is all for himself and he should be watched. Should yon reader tell anyone I said that I shall deny it. Of course it sounds like a good thing but it this situation really a big problem? I understand that new medicines are always being tested and it takes forever for the FDA to approve these things sometimes, federal bureaucracy and all that. And how does a state law make this sort of thing okay? Doesn’t the FDA approve all of that? Can little Delaware tell the federal gubmint to shove it, that we’re giving our citizens these drugs without federal approval? I commit to return with answers on this matter yon gentle readers. Now about this bill changing the definition of “persons prohibited” from possession of a firearm. This Act closes two significant loopholes in Delaware law in order to ensure that punishment for the illegal possession of firearms by violent persons is certain. First, by adding a definition for “convicted” or “conviction” that includes adjudications of delinquency occurring on or after a person’s 16th birthday, this Act requires mandatory minimum sentences for adults who possess firearms and were convicted of a violent crime when they were 16 or 17 years of age. Currently, Delaware law excludes those persons adjudicated delinquent of violent felonies from mandatory minimum sentencing if they are later convicted of illegal possession of a firearm as adults. Second, this Act requires mandatory minimum sentences for those who repeatedly violate Delaware’s illegal possession law. Currently, a person who is prohibited from possessing a firearm for reasons other than the commission of a violent felony (e.g. a person who has committed a misdemeanor act of domestic violence) can be convicted of illegal possession repeatedly without facing any mandatory minimum sentence. Additionally, this Act makes technical corrections consistent with legislative drafting conventions. This bill has a lot of Republicans on board , including mine own state Senator Pettyjohn. My initial reaction at laws about firearms is to give thumbs-down. But this Senate Bill 12 confuses the hell out me. First, I didn’t even know there were “persons prohibited” from owning a gun in Delaware though I understand why there should be. Convicted felons do lose their right to gun ownership, I get that. Evidently if violent crimes were committed by defined “juvenile delinquents” they become exempt from mandatory sentencing for illegal possession of a firearm. I will be contacting some of our guys about this bill that I better understand it. Hold on to your patience yon reader. It’s only a matter of time, folks. Medical marijuana coming to Delaware, arrests for smoking same are a waste of time. Senator Ernesto Lopez hailing from the Lewes area sponsored Senate bill that would terminate the pensions of those who commit certain heinous acts. Right now I do not know the definition of these heinous acts but promise yon reader to get to the bottom of it. I do fine it ironic, and perhaps this was intentional, that Lopez is employed by the Delaware state school system. His sponsoring this bill seems almost symbolic. Lookit, I worked for AT&T for fifteen years earlier in my life and at age 65 I got a pension. In between, well I dunno, I might have committed some heinous acts but so? Does that give AT&T the right to take my pension? I got the pension for WORKING there so many years, not with a promise of a lifetime of good behavior. Yet again, far be me to defend the endless public workers union members who get everything except a requirement to actually work. But it seems a bit unfair to me. I shall be contacting Lopez for more input on this. This Act stops individuals convicted of certain crimes from collecting their State pensions. NEXT : An introduction to me, in case you don’t know me. Or something. 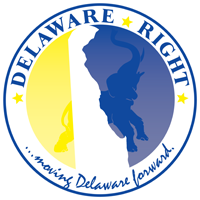 3 Comments on "What’s going on in the Delaware legislature? Those guys love to make laws, let’s check up on what they’re up to. The 2/14/15 Edition"